Listening to Best Coast’s new track, “When You Wake Up” I kept on thinking of the guitar sound of The La’s. The La’s were an English band from Liverpool circa 1990. 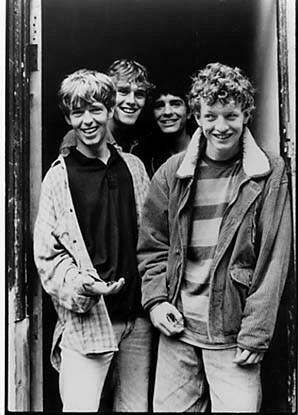 They were fronted by lead singer, songwriter and guitarist Lee Mavers with John Power (backing vocals, bass) being the second half of the “special sauce.” Power went on to form Cast, and Mavers has stayed well away from the spotlight. Perusing at the band’s Wikipedia page, it’s amazing how many lineup changes this band had considering they only released one proper album. That album, 1990’s “The La’s” is chock full of jangley guitar rock. The group has been on hiatus since 1992 and following short-lived reunions in 1994, 1995, and 2005, the group have yet to release any new material. Apparently drugs were a big issue for the band…to bad because they had a great sound. Great song choice.